Kick off your visit on the 24th (Thu): kick back and relax at Doctor's Cave Beach, don't miss a visit to Hip Strip, and then surround yourself with nature on a nature and wildlife tour. For photos, ratings, where to stay, and other tourist information, read our Montego Bay trip generator. Use the Route module to see travel options from your home to Montego Bay. 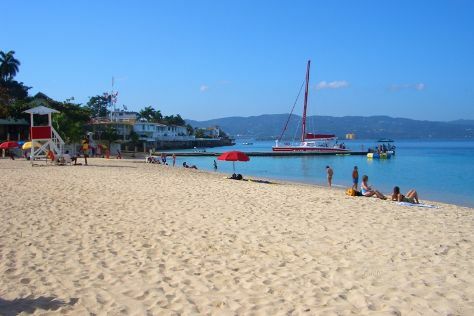 In November, daytime highs in Montego Bay are 36°C, while nighttime lows are 28°C. You'll set off for home on the 25th (Fri).